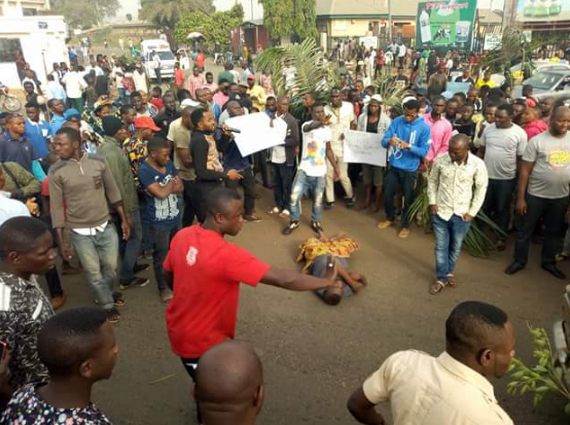 Benue Youth Leaders, under the platform of Benue Youth Movement for Good Governance, have reacted to the ongoing Military Exercise in Benue, Kogi, Nasarawa, Taraba and Kaduna States under the name: Operation Ayem Akpatuma. The group said it believed that with the Military Exercise ongoing, both the militias and the violent herders unleashing terror on Nigerians would be defeated. A statement jointly signed by Hon. Terfa James Naswem, National President and Hon. Albert Okoh, General Secretary, after a press conference held in Abuja, on Monday, alleged that some highly placed Nigerians do not want the crisis to end as they keep fueling more crisis almost on daily basis because of their personal benefit. “But with the Military Exercise, our hope is now restored based on the fact that, the current Army Chief is highly patriotic and committed to the safety of the Nation. “We wish to use this medium to commend President Muhammadu Buhari for giving the Nigerian Army the needed support and the zeal of the Army to commence this exercise, especially the Benue community. “We stand to encourage the Nigerian Army that, the Cat Race across these States should not only end within the time frame but until the criminals are totally fished out of the various States. “Though, there are politically-instigated crisis in support of the ongoing massacre of Nigerians by both herdsmen and militias, which now extended to Zamfara State, where over 40 persons were recently killed, the Nigerian Army should also include Zamfara in the Exercise in other to have a safer Nigeria.